El Questro tours and activities form an integral part of every visit to the property. 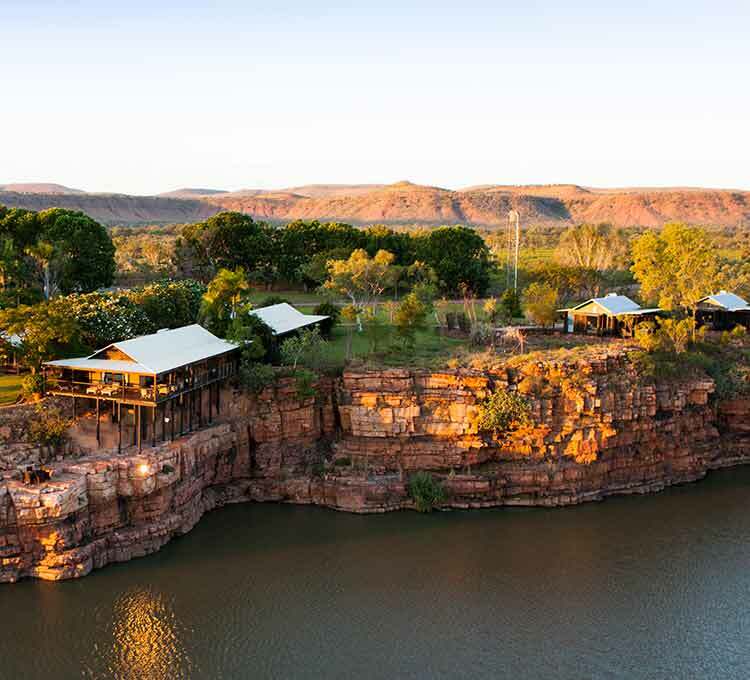 The Homestead offers a wide range of complimentary excursions that provide opportunities for guests to fully immerse in the natural attractions of the Kimberley wilderness. The majority are exclusive to Homestead guests, facilitating engagement between the small group and their guide. The majority of experiences are exclusive to homestead guests and offer the best of small group touring. El Questro’s enthusiastic Rangers are adept at personalising your experience to your individual tastes. 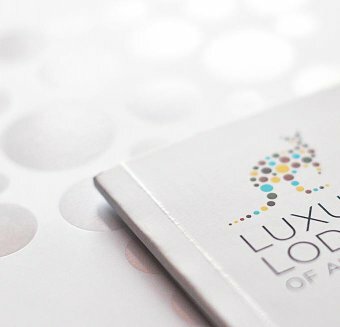 The staff will tailor a customised itinerary to ensure each guest samples the best of El Questro and the Kimberley whilst still leaving time to take in the serenity of the Homestead. Boating through the Chamberlain Gorge is a must. An El Questro ranger will take you on a private cruise of this 3 km fresh waterhole in the Homestead’s private “dinghy”. Enjoy the diverse flora and fauna; resident Rock Wallabies, Johnston Crocodiles and the always cheeky Archer Fish are familiar inhabitants of the gorge. Exclusive use of Zebedee Springs is offered to Homestead guests every afternoon. 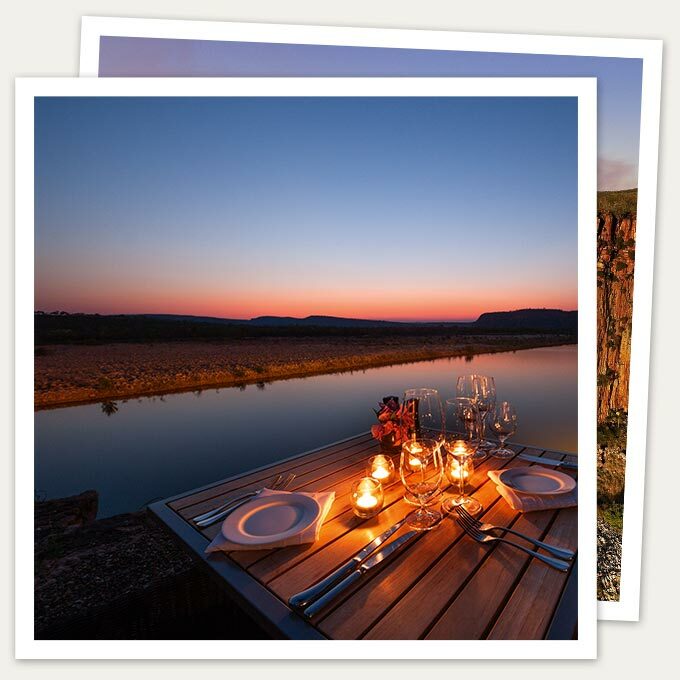 Let an El Questro Ranger drive you in style to the most romantic of hideaways. Take a short walk through dense, tropical vegetation to a series of thermal pools and small waterfalls. Set amongst a backdrop of sheer cliffs and Livistonia palms, Zebedee Springs is a magical place to relax and rejuvenate after a busy day. Join an El Questro Ranger on an early morning excursion to bird watching sites near the Homestead. The variety of ecosystems in the park attracts 100 different bird species including Pheasant Coucols, dancing Brolgas and even the once near extinct Gouldian Finch. Take part in the friendly competition to see who can spot the most birds from the list. Binoculars and field guide are provided. Fly by Helicopter to a remote corner of the Wilderness Park where you will find Miri Miri, a spring-fed waterfall cascading over a 50m drop. A somewhat steep walk will reward you with your own private swimming hole set in lush bushland. Unreachable by road or on foot, Miri Miri offers an unparalleled romantic excursion that is only enjoyed by a select few. Choose to go either in the morning or afternoon, or have Chef pack you a gourmet picnic lunch. 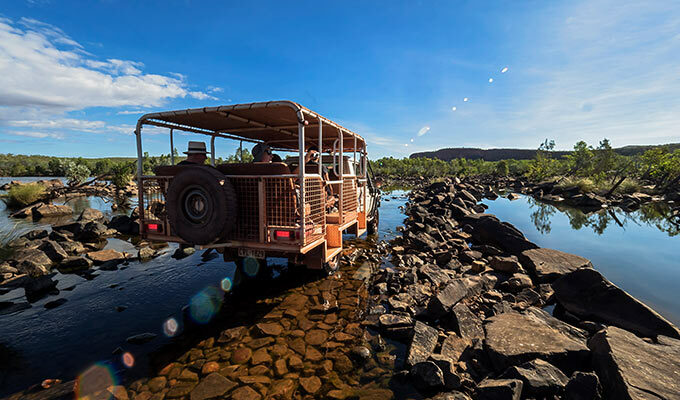 The tour starts with an informative 4-wheel drive journey in a Safari vehicle, a great way to experience true 4-wheel driving in the outback. At the end of the track lies Explosion Gorge, an amphitheatre style gorge that will reveal its secrets during a 45 minute cruise. 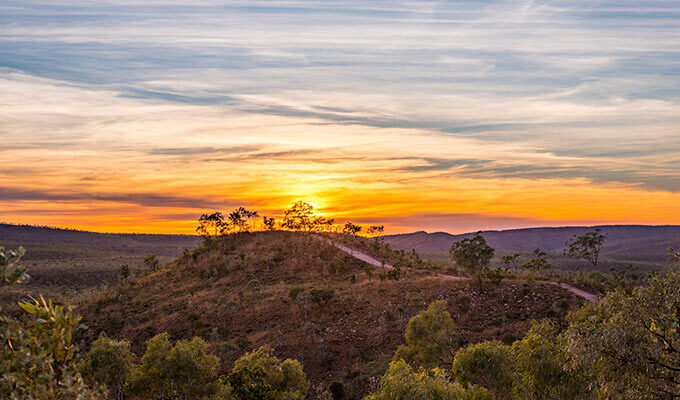 Finish the tour on Branco’s Lookout, with views back to the Homestead and the Pentecost River below. Enjoy some bubbly, a taste of cheese and the setting sun: the perfect ending to a memorable day.